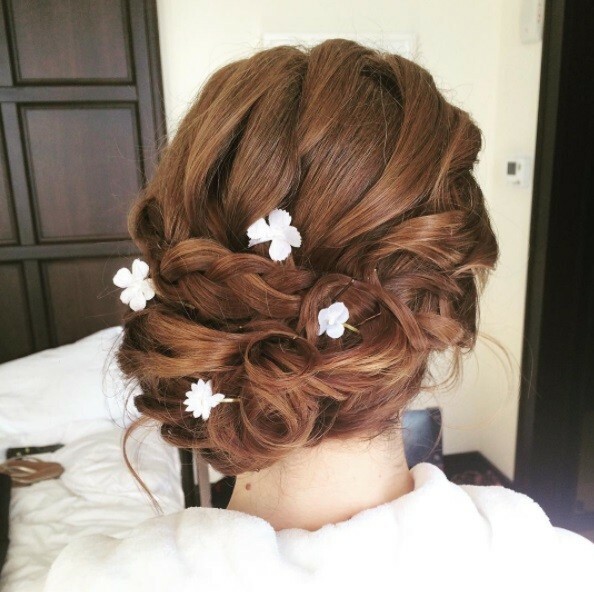 Make your wedding day extra special by wearing one of these bridal updos for long hair! 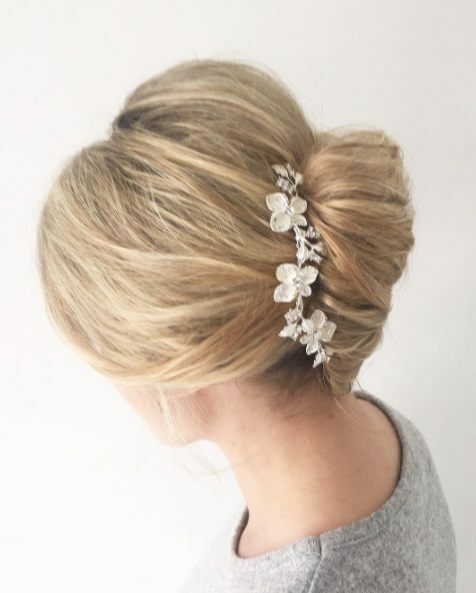 Looking for the ultimate wedding updo? Also dealing with Rapunzel-worthy tresses? 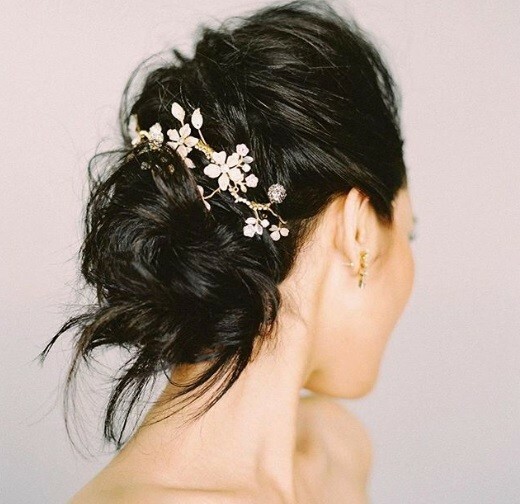 Luckily for you, we’re stepping in to help relieve some of your pre-wedding jitters with these idyllic wedding updos for long hair. 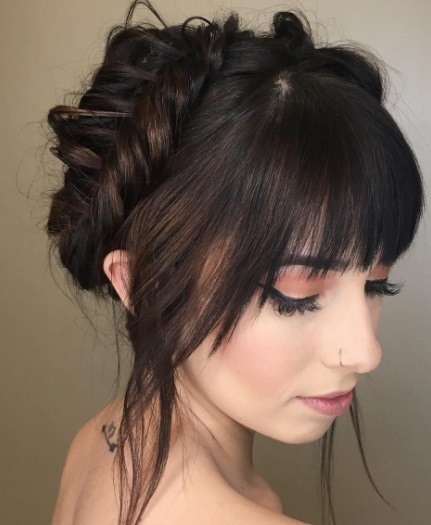 Click through our gallery or scroll below to see all of our beautiful bridal updos for long hair. Consider this beautiful braid and ponytail combo. You wouldn’t call this French braided ponytail basic, would you? With its romantic waves and pretty braid detailing, you’ll be ticking all the boxes when it comes to #hairgoals. Editor’s tip: The secret to braided wedding updos for long hair? Texture, of course! The TONI&GUY Texture Creation Hairspray is all you need to give your mane extra definition and texture, plus it’ll give you the grip needed to create the perfect plait. Can’t braid? Don’t fret: this elegant, twisted ponytail updo is super easy to DIY and decorate (be it with pearls or flowers). 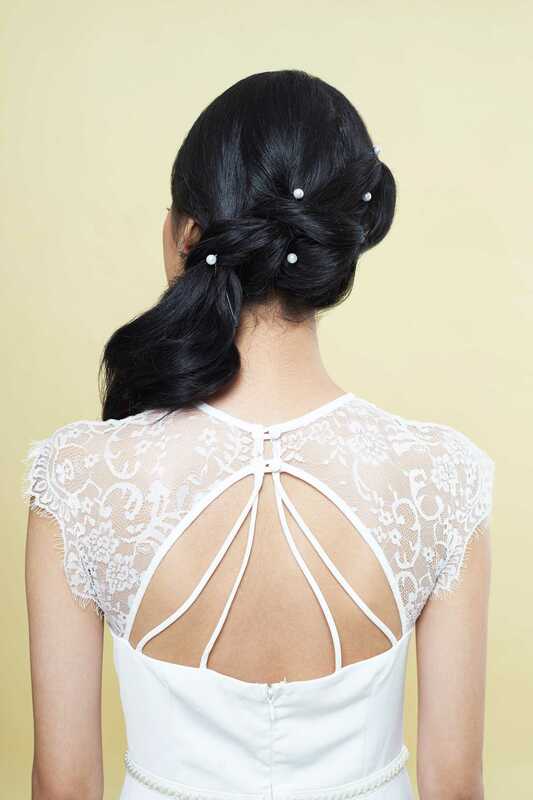 If you’re looking for long hair updos for a wedding and want to match it to the neat detailing on the back of your dress, the French braid is a solid choice. Rose braids are the prettiest trend blooming around. Feeling inspired by this season’s flower trends? Then you’ll be excited to discover that flower braids, like this rose braid, are the latest plait style brides are obsessing over. Recommended: 10 flower braids to fawn over. 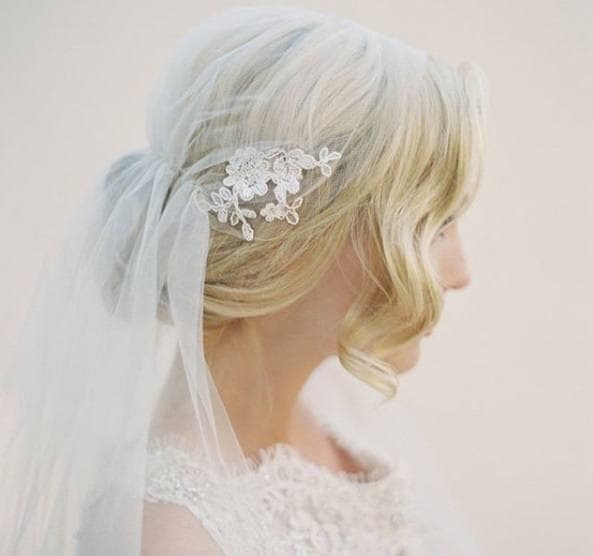 Looking for bridal updos for long hair, but don’t fancy anything too over the top? 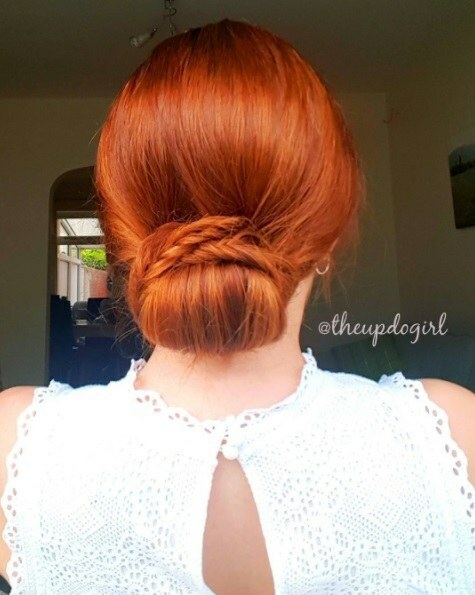 This subtle braided bun could be perfect for you! Want wedding updos for long hair that also have a high-fashion edge? 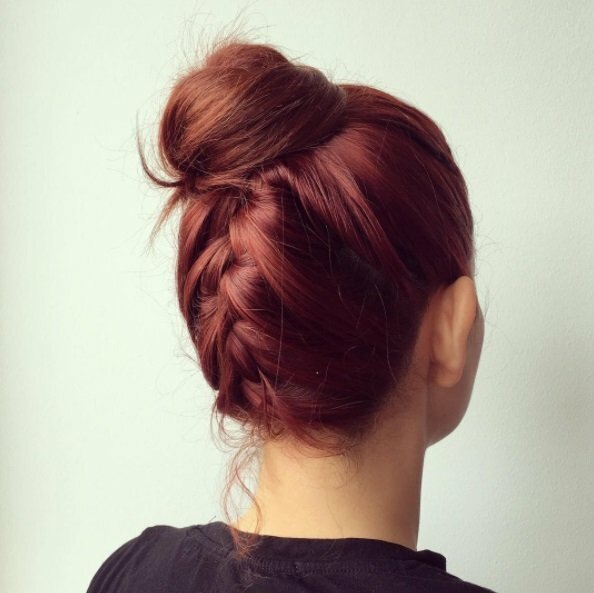 Why not try an upside-down braided top knot? Ah, the chignon. 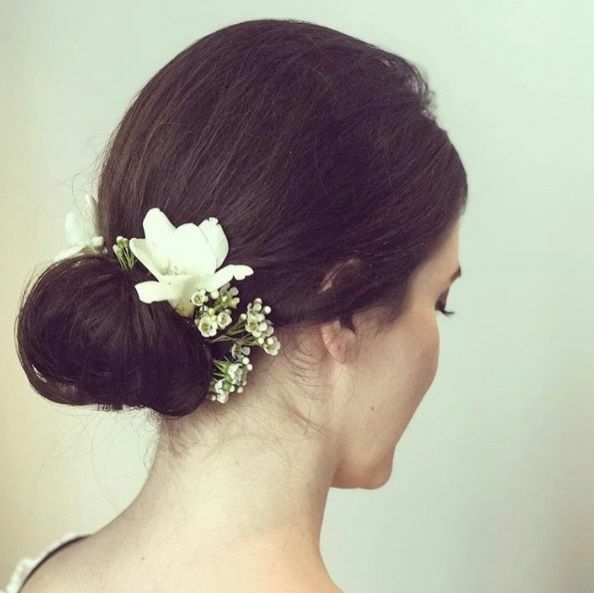 It’s timeless enough that you’ll look back at your wedding photos and still love it because chignons are utterly failsafe bridal updos for long hair. 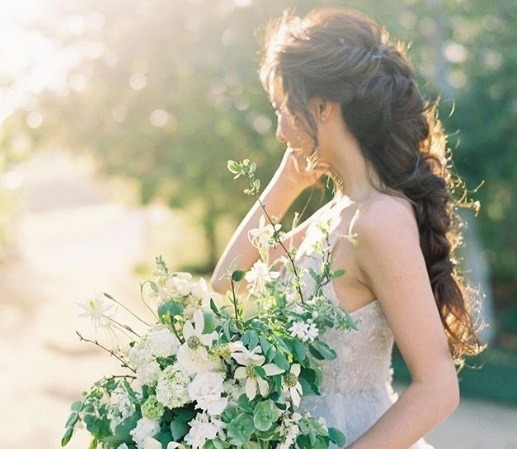 Editor’s tip: Ready to make this look (or any of the other long hair updos for a wedding mentioned here) truly shine? 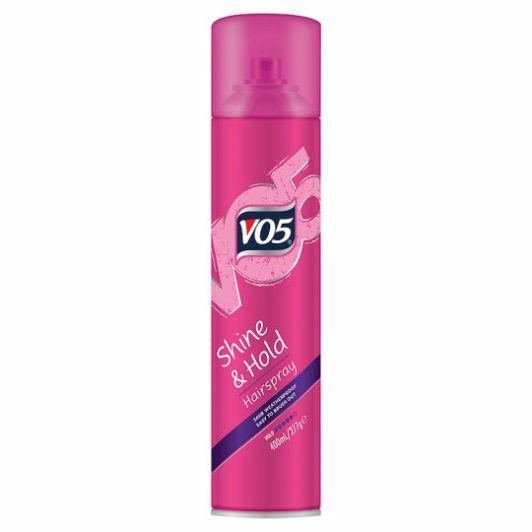 Try the VO5 Tame & Shine Spray for a glossy, frizz-free finish. If there’s one hairstyle that always gets people talking, it’s the fishtail braid. Fishtail braids can be worked into wedding updos for long hair in a number of ways, but our favourite has to be this flawless fishtail bun. Recommended: 9 celeb looks to inspire you to try side braids. The perfect dress deserves the perfect hairstyle, and the Gibson tuck is a seriously strong contender! 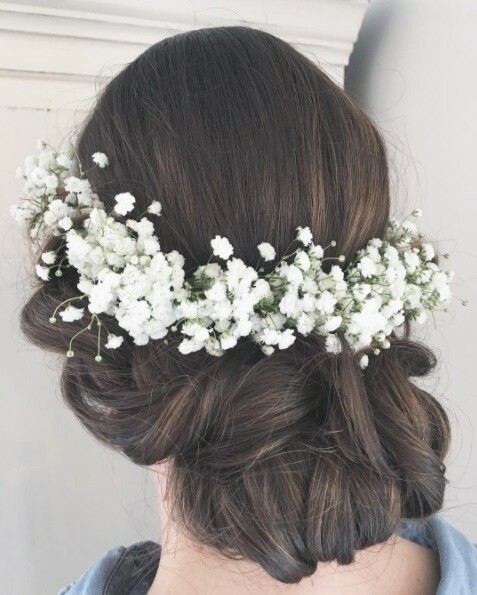 Although it originally became popular in the Edwardian era, it’s still just as much of a crowd-pleaser today and, surprisingly, it’s one of the simplest wedding updos for long hair too. Throwing an outdoor wedding? 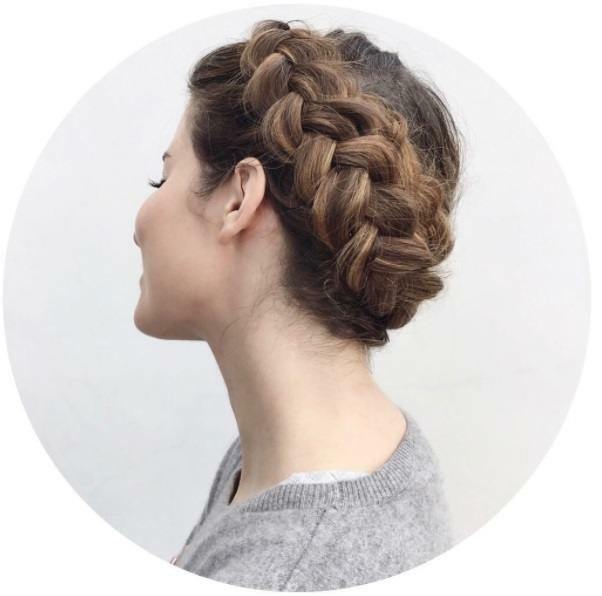 We can’t think of a better look to covet than this milkmaid braid. It’s fun, feminine and full of woodland charm — meaning it’ll fit in with your theme. Rocking a fringe? 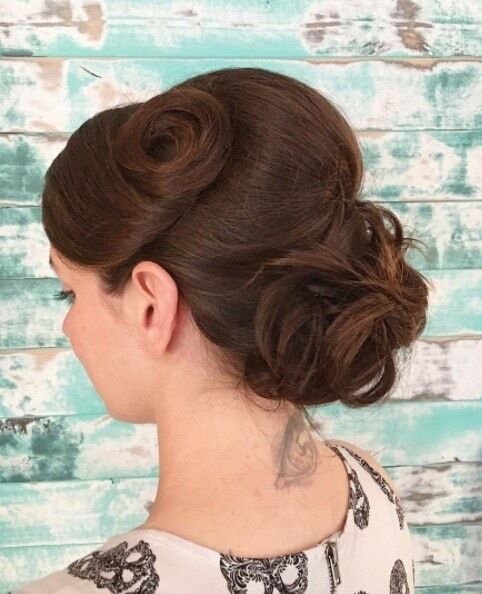 You might think that it would get in the way of your perfect updo, but that couldn’t be further from the truth! Why wear a tiara when you can transform your mane into a crown?! Worried about how to style your fine hair? 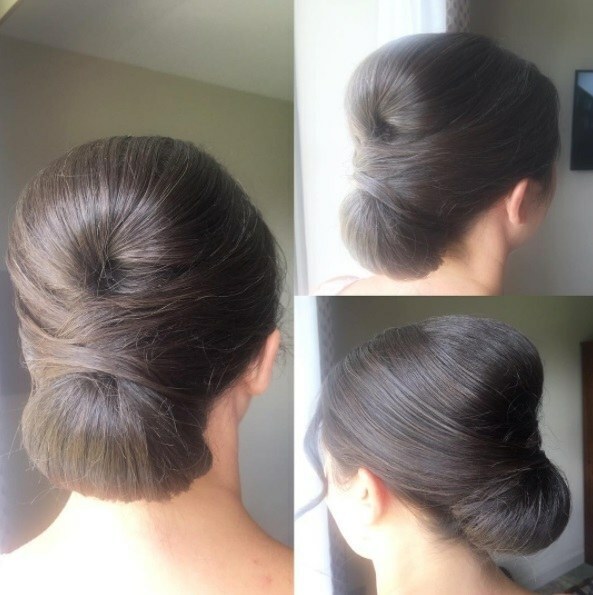 If you’re not blessed with masses of volume, but still want to rock an updo for your big day, try a bouffant bun. 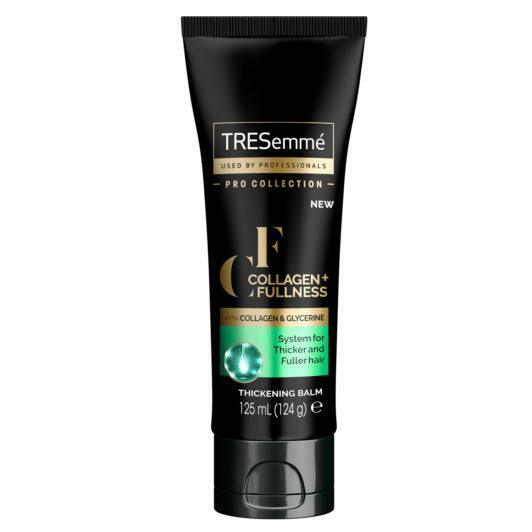 Editor’s tip: To create extra volume, prep your strands with the TRESemmé Collagen+ Fullness Thickening Balm. Spread an even amount of this balm through damp lengths before blow drying, to help plump up your strands. Last minute hair, don’t care! 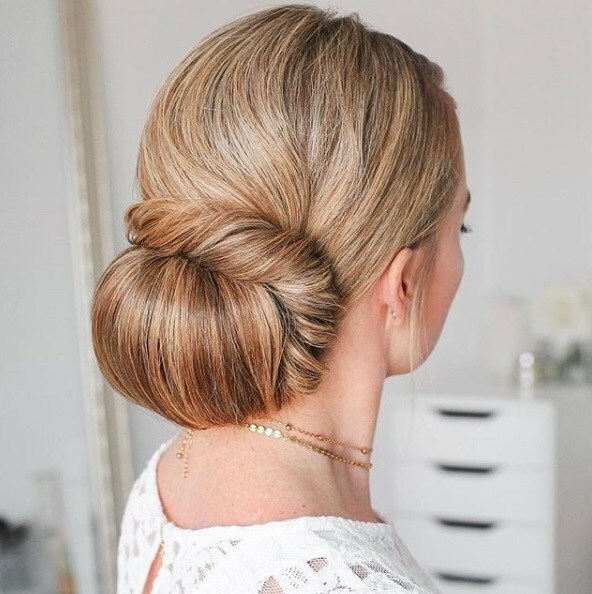 We can’t talk about bridal updos for long hairwithout mentioning this trusty, sophisticated ballerina bun. Whether you create it with a hair donut or without, is up to you, but one thing’s for sure: you’ll look picture-perfect. Recommended: 7 ways to rock French girl hair. Now, we’re a fan of braided bangs all year long, so it wouldn’t be a true All Things Hair round-up without us mentioning them!